What gets measured gets improved. And these are the essential customer service metrics you should be measuring (and improving). Numbers can be scary. However, no matter where you start, every part of your business has a handful of metrics that can actually make a difference to your bottom line. Customer service is no different. If you haven’t been elbow deep in metrics before, it can be hard to get started. But when you do, you’ll soon learn that quantifying your efforts is the best way to maximize your potential when it comes to customer support as well as business and product development. It’s time to tackle your numbers game, and we’ve got you. Today, we’re going to share the 10 most important customer support metrics, what they tell you, and what you should be asking yourself every time you look at them. Also, we’ve added a simple yet hella powerful customer service metrics spreadsheet you can start filling in weekly, including all the formulas that we know you don’t want to deal with. No two companies are alike, and chasing someone else’s metrics is a dangerous and slippery slope. We’re going to list a bunch of metrics that you should consider measuring for yourself. Which ones you actually choose to start looking at depends on what your company wants to achieve. For example, if you’re going for responsive support first, time to first response is an ideal metric, while ticket volume or time until closed doesn’t matter. Basically, there isn’t one metric to rule them all. Rather, it’s essential to track multiple customer service metrics to get a clear view of your team’s strengths and weaknesses. Actionable—measure things that you know your team can have a real impact on, instead of vanity numbers that can’t be tilted with conscious efforts. Real—reports are useless if they don’t tell the true story. Don’t think about rounding up, smoothing out or cheating. Be honest—it might hurt, but pain is a good foundation for taking action. Consistent—trends over time—whether it’s a week, a month or a year—are exactly as important as specific data, and looking back can give you some great insights. As for benchmarking, that’s a dangerous thing to borrow from other companies, too. As with any performance indicators, the definition of “good” customer service metrics varies immensely across industries, customer demographics and geographic regions. The most effective way to benchmark your performance is to do it against your own numbers. 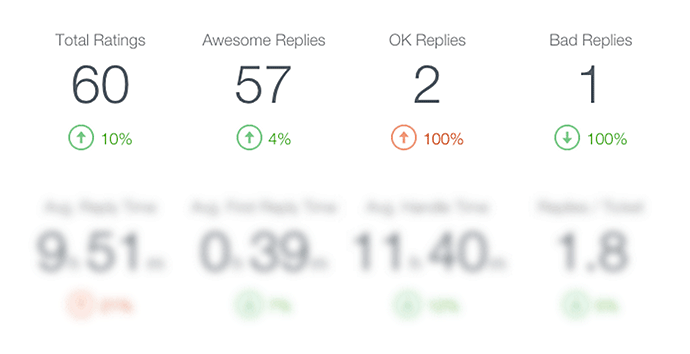 Are your metrics better than they were last week? Last month? Fantastic. Are they worse? That’s okay too, but it’s time to start figuring out why. As for how often you should look at these numbers—ideally, weekly, monthly and quarterly. However, you can do it as often as you can and have time for, and still gain at least some insight from it. The report template we added to this post starts out with weekly reporting, but feel free to just duplicate the sheets and change the time periods to get a monthly or quarterly report. Ticket volume is a sneaky one. In some ways, more tickets can feel like a good thing—it means your support system is accessible and that customers care about you enough to get in touch instead of keeping quiet or just flat out leaving, right? However, if you think about it, support tickets are usually an indicator of your product falling short, being confusing, or even worse—broken. So, generally, you should aim to minimize the number of support tickets. What it tells you: is the volume of tickets increasing over time or during certain periods? Measurement: the lower the number, the better. Consider: Do you have enough customer support reps to deal with your ticket volumes? Could you smooth out your feature release/updates schedule to take post-push pressure off customer support? Are you shipping too fast? Ticket backlog refers to unresolved customer support requests in a particular time frame. These are the tickets that stay unresolved beyond your usual response time because of the performance of your customer service team, high ticket volume for whatever reason, or business/product related dependencies that require additional time to solve. While speed isn’t the most important thing in customer service, it does matter. When you’re backlogged with support emails, focus on buying yourself more time by responding rather than resolving. What it tells you: how many unresolved tickets you have at the end of a particular time frame. Measuring: the less, the better. Consider: do you have enough customer support reps to deal with your ticket volumes? Could you smooth out your feature release/updates schedule to take pressure off customer support? Are you shipping too fast? Resolution rate represents the percentage of issues your reps actually resolve from the number of total tickets received. A rising resolution rate is a good indication of the efficiency levels of your customer service team. What it tells you: is your ticket backlog growing or shrinking? Measuring: the higher percentage, the better. Consider: do you need to hire more reps? Are there issues in parts of the business or product that are taking up your reps’ time? Average reply time helps you see whether your customers are getting followed up with in a timely manner—nobody likes being promised a quick response and then being left hanging. What it tells you: how fast are you getting back to your customers in average. Measuring: the shorter the time period, the better. Consider: do you need to hire more reps? 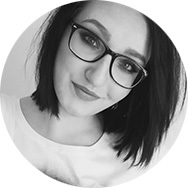 Are there issues in parts of the business or product that are taking up your reps’ time and keeping them from getting back to everyone the quickest they can? Average first response time tells you how long it takes for a customer to receive an initial reply to their support request—basically how long a customer has to wait before being helped. We already know that good support is more important than fast support, but average first reply time helps you ensure that your customers are getting responded to within an appropriate window. 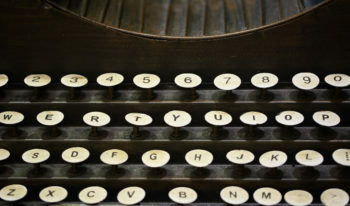 Benchmarking: For email support, most customers expect a reply within 24 hours. For social channels, try to keep response time under 60 minutes. What it tells you: how long does it take your team to respond to customers? Consider: Are you hitting your reply time goals? Are you understaffed when it comes to your customer service team? What are the issues that are causing long response times? Should you hire customer service reps in different time zones? If there’s a single customer support metric that every single business needs to focus on, it’s this one. We’ve found incredible correlations between customer satisfaction trends and the revenue growth rate at Groove, far more than with any other support metric. Customer satisfaction is usually based on a short survey customers fill out, typically after a conversation or ticket is resolved. Either way, at its core, it asks the customer to rate their experience on a scale ranging from good/great to bad. We measure satisfaction in two different ways: after each customer service interaction, and once every quarter. Depending on how ratings are trending, we can see whether our customer service performance is improving (good), declining (bad) or not moving at all (also bad). Benchmarking: for post-interaction customer satisfaction scores, it’s generally good to keep “Bad Replies” below 10%. What it tells you: are most customers satisfied with your service? Measuring: the higher the score, the better. 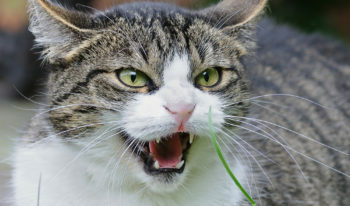 Consider: Which customers are not satisfied with your service and why? Is there a recurring issue that you should move up in your development or design backlog? 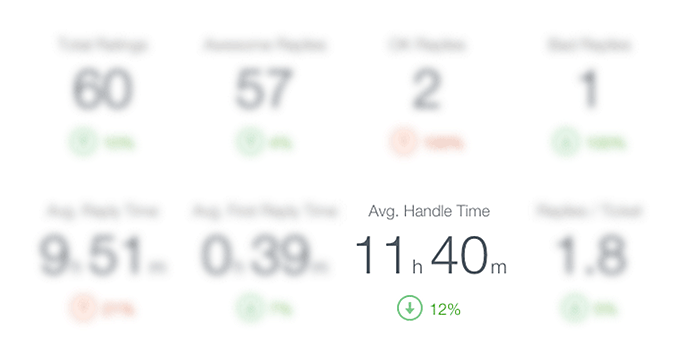 You can measure the efficiency of your support operation with average handle time. Again, this is not an ultimate success metric. Using average handle time to drive your business could lead to agents focusing on closing tickets rather than making customers happy—but it can help you benchmark efficiency across your team, and make sure that your customers aren’t being left waiting too long. What it tells you: how long does it take your team to resolve a case? Consider: is your team resolving tickets faster over time or during certain periods? FCRR has the potential to completely change the way your team does support for the better. FCR is resolving a customer’s issue in a single interaction, eliminating the need for them to contact you again about the issue. For phone support, that means resolving the issue in a single phone call. For email and social media support, that means resolving the issue in a single response. For live chat support, that means resolving the issue in a single chat session. FCR Rate = (number of support issues resolved on first contact) / (total number of FCR-eligible support issues). FCR-eligible means that you shouldn’t include any cases that would be impossible to get first contact resolution on (for example, if the customer makes an error in their email to you). FCR is also one of the few metrics that has been directly correlated to real customer satisfaction. 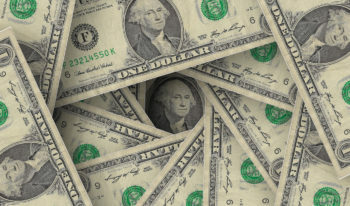 Service Quality Measurement Group’s data suggests that a 1 percent improvement in FCR yields a 1 percent improvement in customer satisfaction. What it tells you: how often does your team resolve cases in a single response? Measuring: the higher the percentage, the better. Consider: Do your customers frequently have complex issues that take more than one communication point to handle? Which product areas are causing problems that are resolved easily? Which product areas are hindering the efficiency of your team? We’ve written about FCRR and how to improve it before, so if you’re interested in how to improve on it, go check that post out. NPS is a measure of how likely your customers are to recommend your product or service to other people. You can either have an NPS form pop up on your site or product in general, or you can send direct surveys to your users between certain time periods. 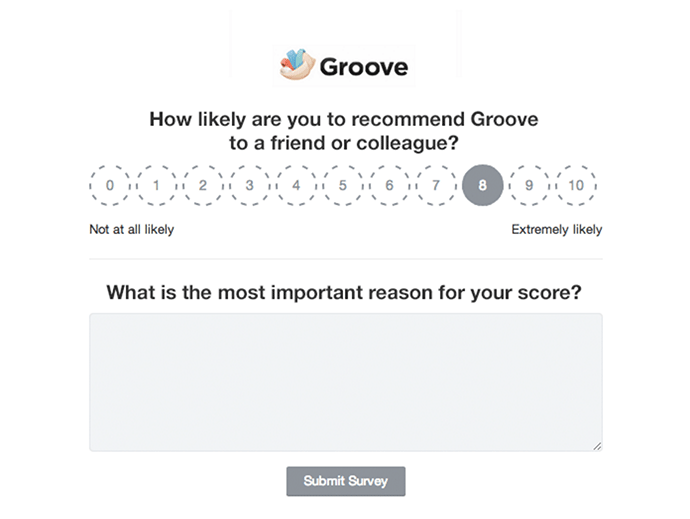 At Groove, we send send all of our customers a Net Promoter Score survey every three months. This tells us how satisfied customers are with our business as a whole. Results from the first question tell us how many of our customers are promoters (those who respond with a 9 or 10), passives (7 or 8) and detractors (0 to 6) of Groove. Results from the second question tell us why. 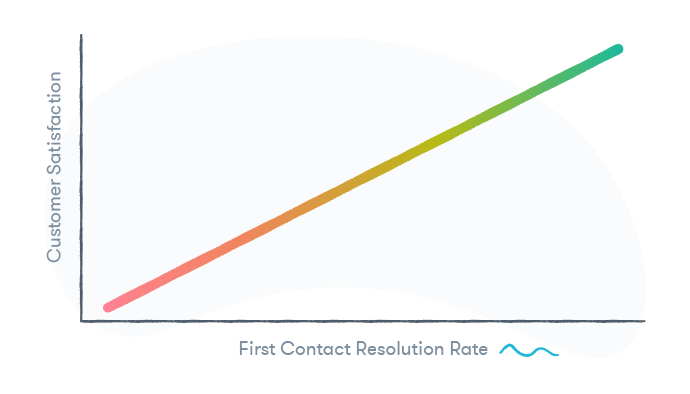 For Net Promoter Scores, according to Satmetrix, creators of NPS, the average score is around 5, but the most efficient growth occurs for companies whose NPS is in the 50–80 range. What it tells you: how likely are your customers to promote or recommend your product or service and why? Measuring: the higher the number, the better. Consider: which customers are at risk of churning and why? A survey by Forrester found that 73% of customers find first contact resolution to be hugely important for customer satisfaction. That’s where replies per ticket comes in handy. Too many interactions per one ticket can often mean that your support staff is not asking the right questions, or the customer is not being directed to the right people. What it tells you: how many of your support tickets get handled on first contact? Measuring: the lower the number, the better. Consider: Are your reps asking the wrong questions or not communicating clearly? Getting your numbers in order can be hard. And even worse, sometimes they might not reflect what you want to see. However, quantifying your customer service efforts is the best way to maximize your potential when it comes to customer support as well as business and product development. Having a constant eye on how you’re really performing when it comes to your customer service ensures that you have your hand on the pulse—from there you can quickly react when things start getting worse, or celebrate when the trends go up. Don’t forget to download the metrics spreadsheet by clicking here to get started with tracking your numbers if you’re not doing it yet. Which customer service metrics do you look at regularly? Do you have one single place where you get your numbers together for an overview? Let us know in the comments! What Is Good Customer Service? Here’s What Customers Think.